Financial planning, forecasting and reporting is an essential part of any business operation, but due to the volatile economic climate currently facing global markets, it has become more important than ever. Given how crucial it is for commercial success, the amount of time, money and resource allocated to financial planning is unsurprising. However, this investment is not always as effective as it could be. The problem is that many finance departments are still struggling to draw together multiple data sources and resolve complex adjustments, conflicts and errors. This undermines the finance department’s role as a strategic partner to the business, particularly as finance is already being given responsibilities that extend far beyond its traditional scope. To better understand the challenges faced by the finance function, we surveyed 200 CFOs and Finance Directors about their planning and processes. The results confirmed a number of well-recognised weaknesses and challenges with existing solutions, in addition to clear frustrations with the effort and complexity involved in the financial planning process. One clear finding from our research was the fact that many finance departments are still stuck in the past when it comes to technology, with many still using out-dated legacy systems that are unable to deal with the sheer level of data facing businesses in the global marketplace. These existing systems are heavily reliant on spreadsheets and, as a result, are creating barriers that make it difficult for the finance functions to fulfil its potential. Spreadsheets are time consuming, over-complicated, lack insight and above all, error-prone. Worse still, firms dealing with spreadsheets often spend too little time reviewing the data they have created, leaving errors potentially undiscovered for months, if not years to come. 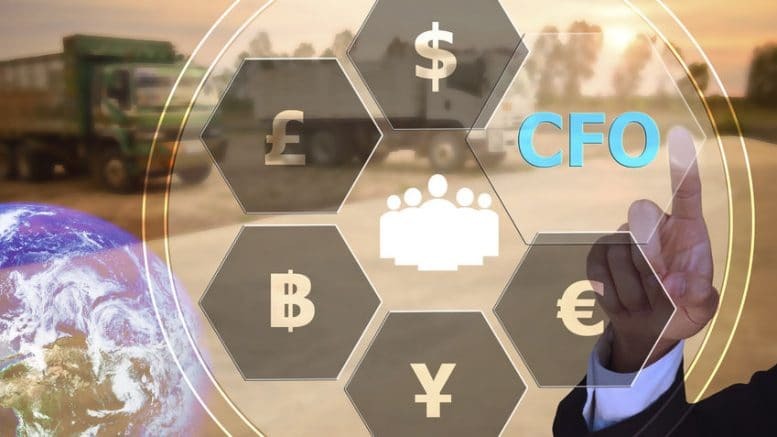 The continuing transformation of the finance function has clearly not been matched by progress in financial technology, with cumbersome approaches not working as efficiently as they should be. A staggering four out of five (80%) CFOs have reported a fault with their planning processes when using spreadsheets over the last year, with almost three quarters (73%) being concerned about their firms’ reliance on these tools. There is hope for the future, however: 86% of the finance professionals we surveyed would consider something better if they were able to maintain control. It appears that finance professionals want a system which combines the flexibility of spreadsheets with the control offered by finance-focused alternatives. Seven out of 10 of the finance departments we surveyed (70%) would like to plan their business investments and expenditure more frequently, but inefficiencies and complicated systems often prevent this from happening. Our findings showed that most finance departments currently conduct their key planning processes just twice a year on average, with over a quarter (28%) completing their planning cycles on an annual basis. The challenges most frequently noted by CFOs and Finance Directors when it comes to their financial planning are the sheer number of spreadsheets (56%), the huge volume of data requiring management (51%) and the labour intensity needed to collect, validate, analyse and report on this information (49%). These complexities can be a drain on key resources, potentially leading to a negative impact on the depth and robustness of a plan. By removing the obstacles to more frequent planning and tapping into more insightful data, finance functions will be able to unlock powerful business intelligence, add value and drive performance far more efficiently. By choosing a flexible solution that can be tailored to fit the needs of each user, businesses can be weaned off their over-reliance on spreadsheets. Finance departments will need to give themselves a bigger voice, however, when it comes to the technology choices necessary to determine the success and effectiveness of their function as a whole, without having to rely on IT. When automating processes, businesses can often fall victim to choosing between flexibility and control, when in reality both are necessary for effective financial planning. By looking to solutions which save time and money, in addition to safeguarding against costly mistakes, finance departments will be able to plan more frequently, more effectively and with more certainty. In this way, CFOs and Finance Directors will be able to demonstrate the true value of their departments to the success of the business. By spending less time engaging with spreadsheets and more time engaging with the business, CFOs and finance departments will be able to fulfil the role they are increasingly expected to play when planning for today’s volatile economic climate.